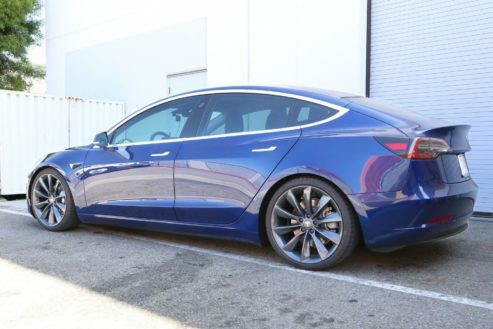 The much desired “Turbine” style wheel has finally arrived for the Tesla Model 3, and at a reasonable price to boot. 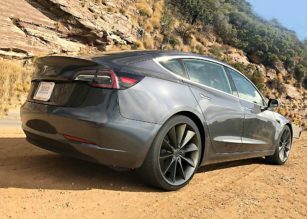 Ben Sullins of data-focused YouTube channel Teslanomics recently featured what can only be described as the perfect complement to his black Tesla Model 3 – 20″ Turbine wheels in Metallic Grey. For context, Tesla does not offer Turbine Wheels for the Model 3. 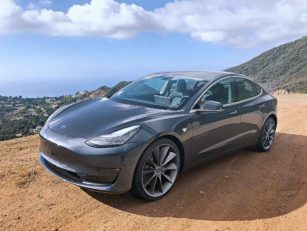 When the California-based electric car maker opened the doors to its Model 3 online configurator, reservation holders were only given two wheel options for the vehicle — the standard 18-inch Aero Wheels and the 19″ Sport Wheels. 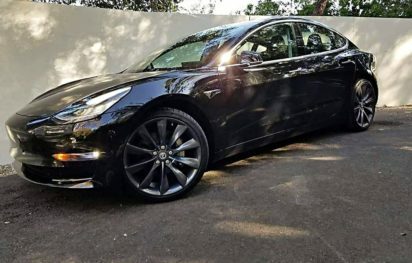 The Aero Wheels, just like the Model S’ a few years back, polarized the Tesla community due to their appearance and design. 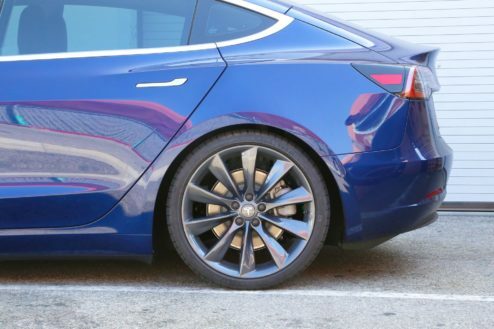 Tesla’s 19″ Sport Wheels, while aesthetically attractive, were on the costly side. As highlighted in Ben’s video, the 20″ Turbine wheels seem to complement the Model 3’s ride height far better than the official wheel options for the mass market electric compact sedan. 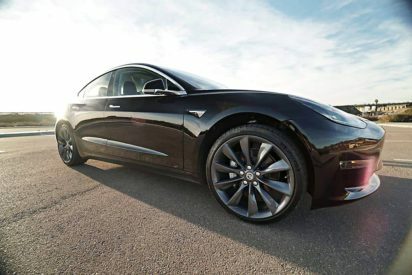 The 20″ wheels, which are being offered by aftermarket wheel wholesaler, EV Wheel Direct, are more affordable than Tesla’s 18″ and 19″ wheel options as well as offerings by other aftermarket manufacturers, starting at just $1,195 for the entire set of four. As seen on EV Wheel Direct’s Contact Us page, the company was founded by a group of Tesla owners with a goal to “bring fairness and value to the pricing of turbine-style wheels”. Ben notes that the aftermarket wheel company was able to sell the Model 3 Turbine Wheels at a reasonably lower cost over other vendors because of their direct relationships with factories overseas that are producing the wheels. EV Wheel Direct has two configurations available for the Model 3 Turbine Wheels. There’s a 19″ version for $1,195 and a 20″ variant for $100 more. The wheels are available in three different colors — Satin [Onyx] Black, Brilliant Silver, and Metallic Gray. They’re also fully compatible with the factory TPMS sensors and lug nuts already on the car. Model 3 owners interested in acquiring the aftermarket wheels for their cars can check out the wheels at EVWheelDirect.com. Each purchase is covered by a 5-year Workmanship Warranty and a Lifetime Structural Warranty. 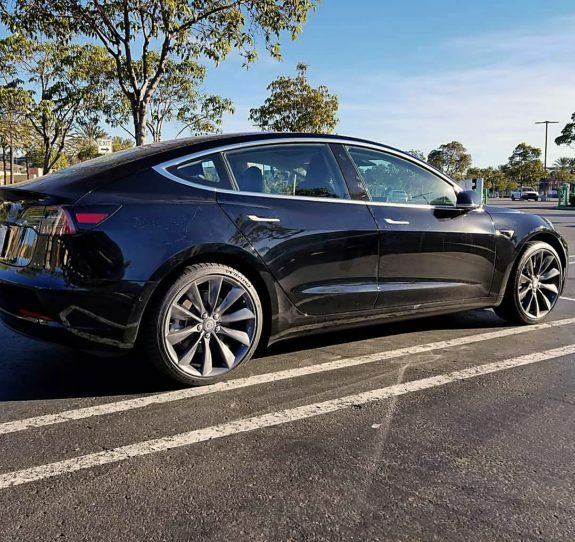 Overall, EV Wheel Direct’s aftermarket wheels for the Model 3 impressed the data-driven YouTuber, with Ben summarizing his thoughts in a short statement.